I love structured cycling training plans. Clearly designed and optimized interval training that fits perfectly to your current fitness. 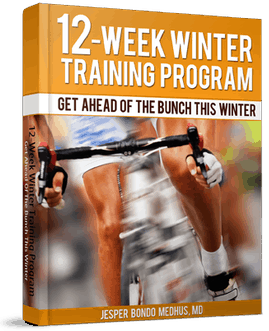 Take for example my 12-week winter training program: it forces you to tackle scheduled intervals three times per week and also perform an increasing amount of training. Very controlled and easy to follow. Well, even though my general training philosophy focuses on structured training principles using either a heart rate monitor or power meter as pacing tool, it’s worth remembering that most cycling races are not organized in 15-minute sub-threshold intervals. 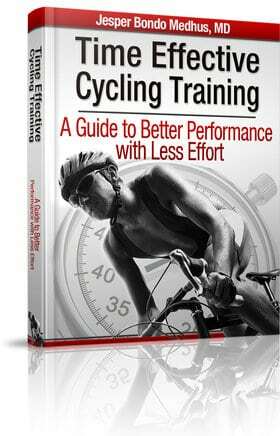 Cycling races are extremely unpredictable and you will need a wide repertoire of skills to master them. So you should never be afraid to add an extra interval or join a spontaneous friendly cycling race when you feel good. Sometimes you simply have to dig a little deeper into your reserves when you train. This may help you to go from good to great. But, more importantly, it is a great mental relief to just follow the pack as they begin to race. So remember the positive attitude and enjoy the chance to have some extra training and fun at the same time. Remember that spontaneous cycling races (fartlek) or sprints are an excellent supplement to your regular, scheduled intervals. If you never do anything that is not scheduled in the training plan, then do at least one off-diary interval/race/sprint this week.